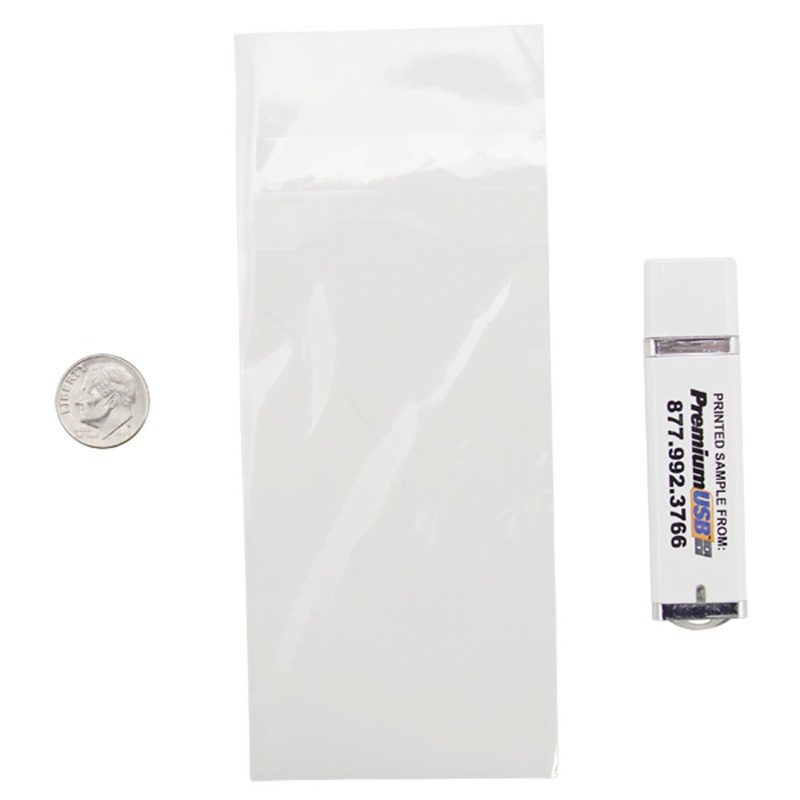 Protect your USB flash drives during shipping with these Large Clear Bags w/Seal Strip. Give a professional appearance to your customer and client deliveries with these clear bags. They will protect the USBs during shipment, keeping them contained and safe from dust, debris, and elemental damage. 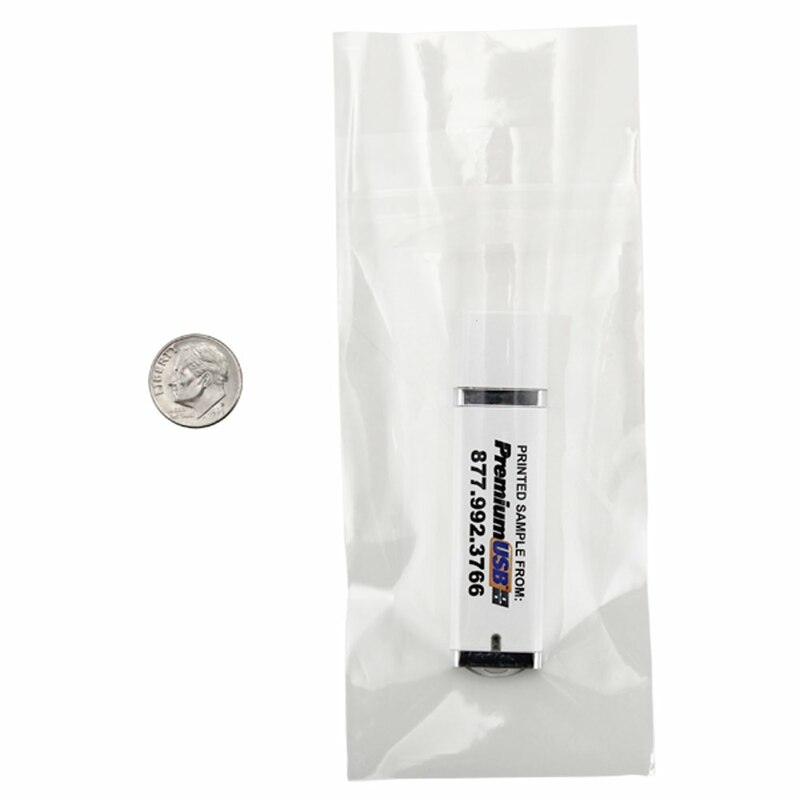 The bags are made out of clear Biaxially Oriented Polypropylene and comes with an adhesive flap that is designed to easily and securely keep your USBs in the bag during shipping. 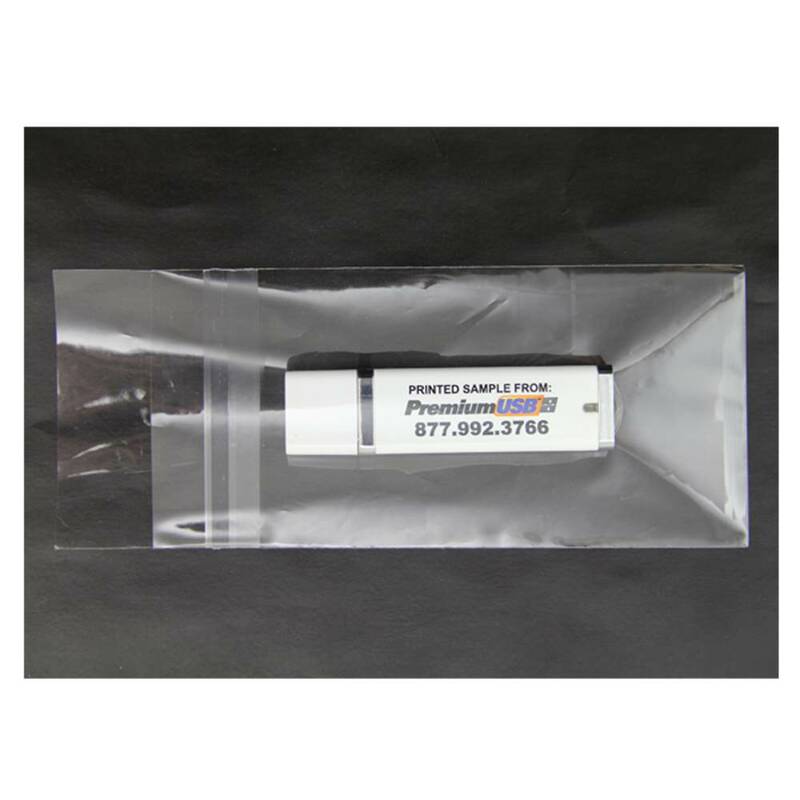 When it comes to shipping flash drives, it’s better safe than sorry. You’ll want to do everything that you can to keep your USB drives safe from harm. Customers and clients getting a damaged USB is never a good look for a company. 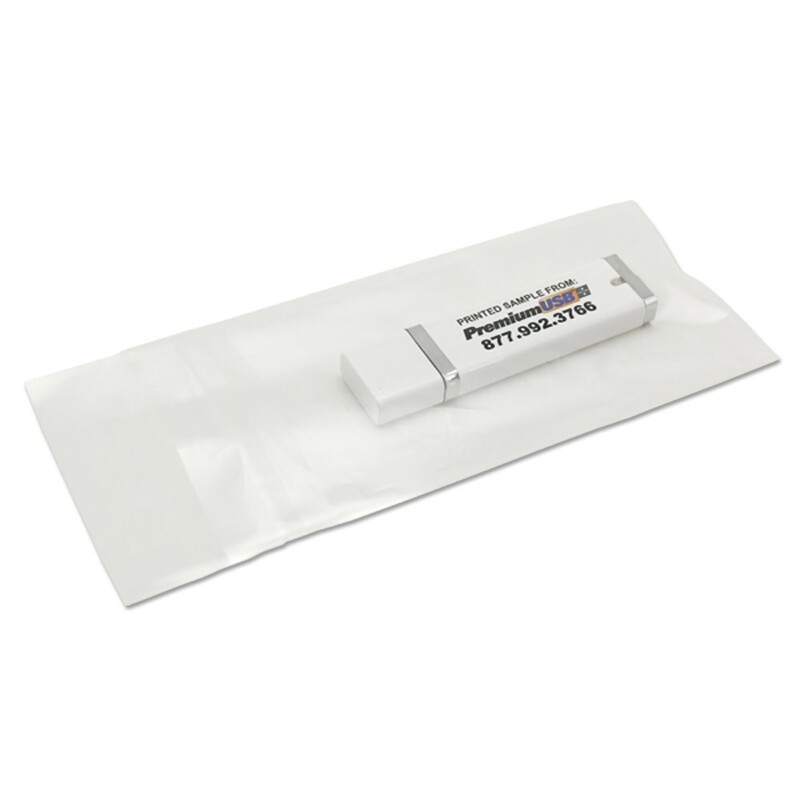 A great way to ensure that your drives will be protected is to use these Large Clear Bags w/Seal Strip for USB drive. They’re designed to protect your USB drives from the rigors of shipping and storage. 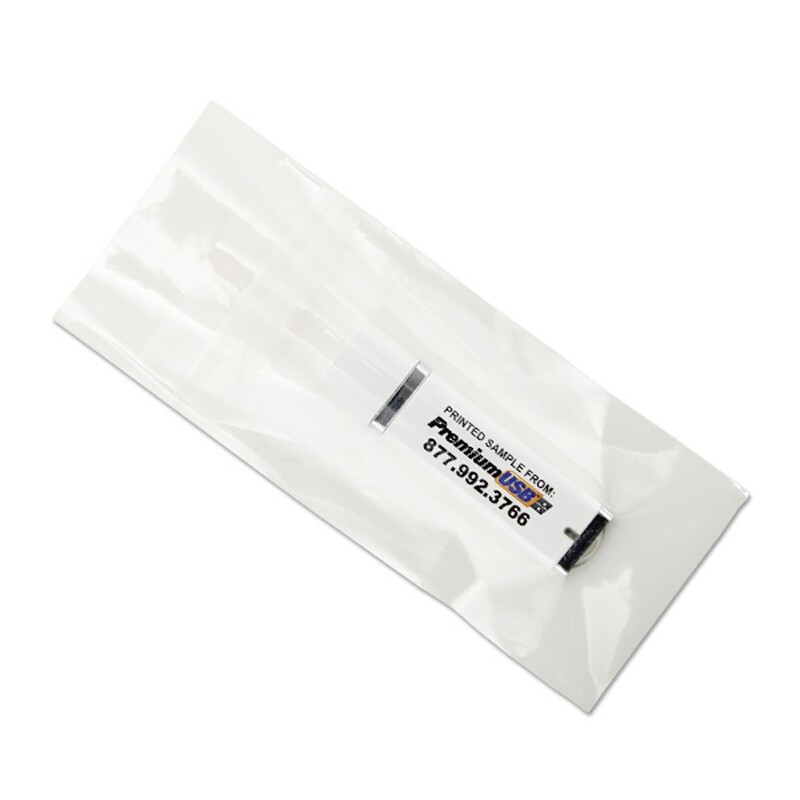 These large clear bags are also great for protecting printed or engraved surfaces from damage, which makes them a must-have if you’re shipping out custom or branded drives. The bags are made out of clear Biaxially Oriented Polypropylene. They seal shut with an adhesive flap. Once your USB is safely stowed away in the clear plastic bag, it will be safe from dust damage, debris, and the harsh effects of the elements. These bags aren’t just great for safety: They will give your products a professional appearance. Taking the time to put a customer’s USB drive in these secure bags shows a level of care and appreciation for them that they will respect. Don’t just toss a drive into an envelope or box without a second thought: Bag it up! Height Flap Open: 141mm / 5.562"
Height Flap Closed: 118mm / 4.687"